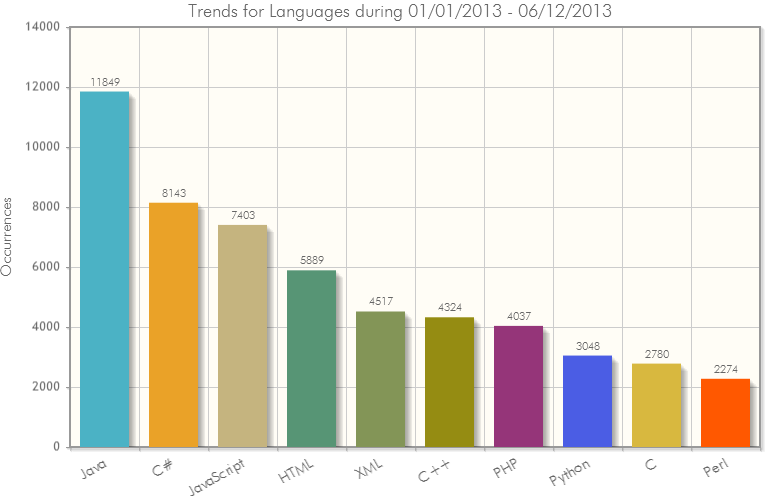 2013 reaches to its end soon and we will try to analyze the hottest IT trends category, which of course is the software programming languages. In the time period from the beginning of 2013 until today December 7th, our crawler has scanned about 66,247 job posting advertisements in the IT sector from six countries. There is no surprise to these values, anyone could imagine that either of these 3 languages would be in the top 10 demanding programming languages these days. 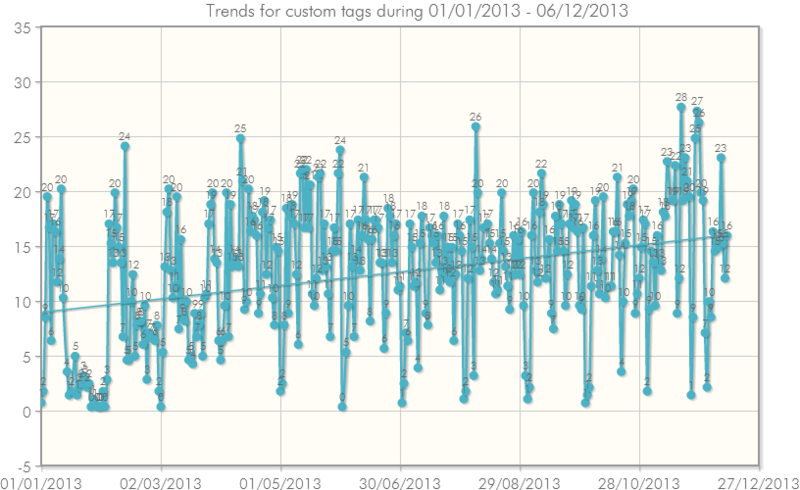 The big surprise here, in our opinion, is the entry of Perl which appeared in about 2,274 job postings (~3%). It is really a very good number if we consider the relatively narrow field of applications comparing to other languages in the list. As for Java in the chart below we can see in absolute values that it had a slightly increasing trend, but generally it kept in a really high state. 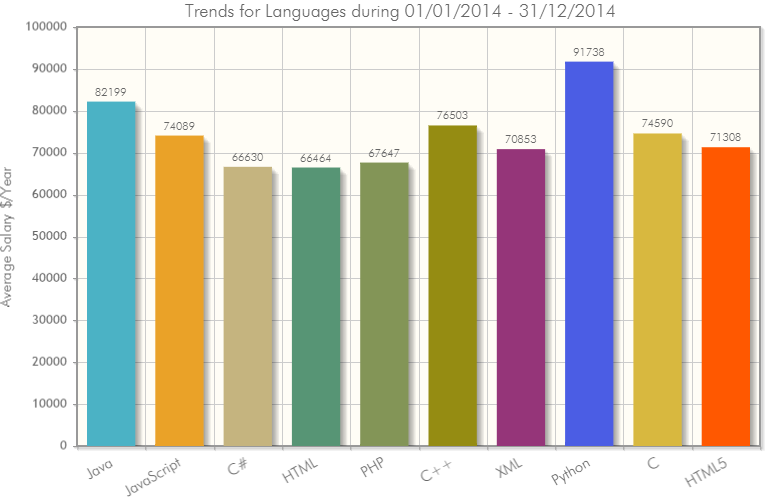 This entry was posted in IT Trends and tagged it skills 2013, most demanded jobs in it, top programming languages 2013, trends 2013 on December 7, 2013 by Trendy Skills.